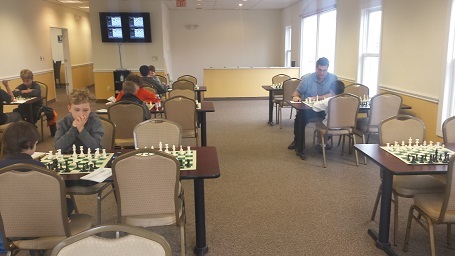 It was another busy day at the Chess Club of Fairfield County with many exciting quads with 4 sections resulting in draws. SM Nicolas Checa & NM Brandon Nydick tied for first place in our top section, both with a 2.5/3 score. Quad two was won by Andrew Dexter with 2.5/3. 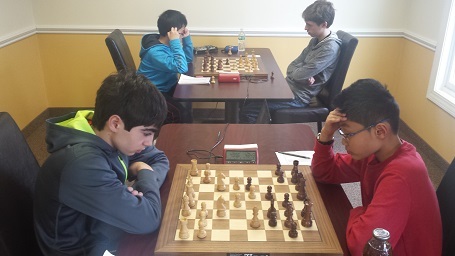 Dylan Young and William Ewald tied with 2.5/3 each to win quad three. Both Thomas Ewald & Brent McCreesh took first place in quad four each with 2 points. 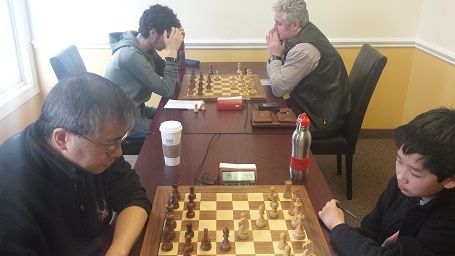 In our bottom section was won by Tony Zhu and Michael Fotin who both finished with 2 points. Hope to see you all next Saturday for more G/45 Quads!